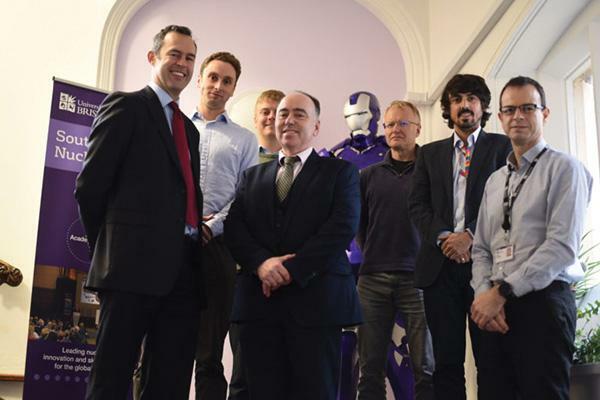 The South West Nuclear Hub, based at the University of Bristol, has joined the Nuclear AMRC as a member to promote research in one of the UK’s most important nuclear regions. Launched in 2016, the South West Nuclear Hub provides a focus for the regional nuclear community. It brings together academia, industry and the supply chain to address technical challenges faced by the industry, and will play an increasingly important role as the construction and development of Hinkley Point C gathers pace. Tier two membership of the Nuclear AMRC gives the Hub access to the centre’s manufacturing and materials research, and allow both organisations to work together to accelerate early-stage innovation into commercial reality. The reciprocal arrangement also sees the Nuclear AMRC join the Hub’s membership of industrial and acadamic organisations. “The Hub is incredibly proud to add the Nuclear AMRC to its membership as well as reciprocally joining the High Value Manufacturing Catapult network,” says Professor Tom Scott, co-director of the Hub. The two organisations are already collaborating through the High Value Manufacturing Catapult’s Researcher in Residence programme, with a fellowship awarded to the University of Bristol’s Dr Nico Larrosa to work with the centre on structural integrity for safety applications. “Collaboration with the South West Nuclear Hub represents an exciting new opportunity for us to access world-leading nuclear research,” says Ross Barrable, strategic relations manager at the Nuclear AMRC. “By combining our knowledge and expertise we will be able to focus on accelerating materials and process innovation that will ultimately serve to enhance UK supply chain capabilities.